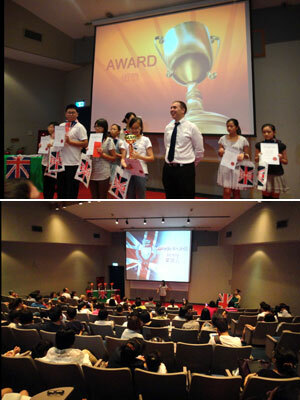 Shane English School Taiwan held its 9th English Speech Contest on the 2nd of August in Hsinchu County. A grand total of 46 students signed up for the competition this year, and there were over 300 supporters in attendance that day - from family members, friends, and classmates who came to cheer on the contestants! Participants' fluency, body language, voice (pronunciation, intonation, etc), correctness, and timing were the five major factors which determined their final score. Prizes were presented for 1st, 2nd, and 3rd place winners at each level. Congrats to the winners and all the contestants for participating in this outstanding competition!